Chemical peels have been around a while. The chemical peel is one of the oldest cosmetic procedures in the world. It was used in ancient Egypt, Greece, and Rome to help people get smoother, more beautiful skin. Today, chemical peels are popular because they give quick results and can be done as an office procedure - more than one million people received chemical peels from dermatologists in 2012. A Little About Your Skin . . . Skin has three layers. The outer layer is the epidermis. This layer is thin and works to waterproof your skin. The second layer, the dermis, is thicker and contains the connective tissue and collagen that give skin its strength. The subcutaneous layer is the third and deepest layer of skin. It contains fatty tissue, muscles and blood vessels. So how do peels work? Chemical peels use acid to cause a very controlled first- or second-degree burn that makes skin peel. When the old skin comes off, new, healthy tissue forms that is tighter and smoother. Blemishes and imperfections “peel” away. Additionally, specific areas with sun damage can be treated with chemical peels. People often target the the wrinkles at the corners of their mouth or near their eyes. Who'll get the best results from a chemical peel? In general, chemical peels work best for people with mild - moderate wrinkles, sagging, uneven pigmentation and actinic keratosis (a very early precursor to skin cancer) caused by sun damage. Chemical peels may also be used to treat acne scarring. For people with deeper wrinkles and sagging caused by structural changes, a chemical peel will not be as effective. Depending on the extent of the skin damage being treated, a series of treatments may be needed. A chemical peel is considered a skin resurfacing procedure. The solution, which can be one acid or a combination, is applied to the skin. The peel is formulated to specifically address your particular skin condition while making your skin smoother and softer. It is painted onto the face. The stronger the formulation and the longer it's left on, the more powerful the peel. You'll be able to see the results once the peel is washed off. Chemical peels are defined as light, medium or deep according to the depth of the damage they cause. Superficial peels damage only the epidermis, the most superficial skin layer. Medium peels may reach the top layer of the dermis, the second layer of the skin. Deep peels usually reach the deeper layers of the dermis. Light chemical peels are ideal for people who want the benefits of a facial peel but don’t want to spend the time required to recover from a deeper peel. 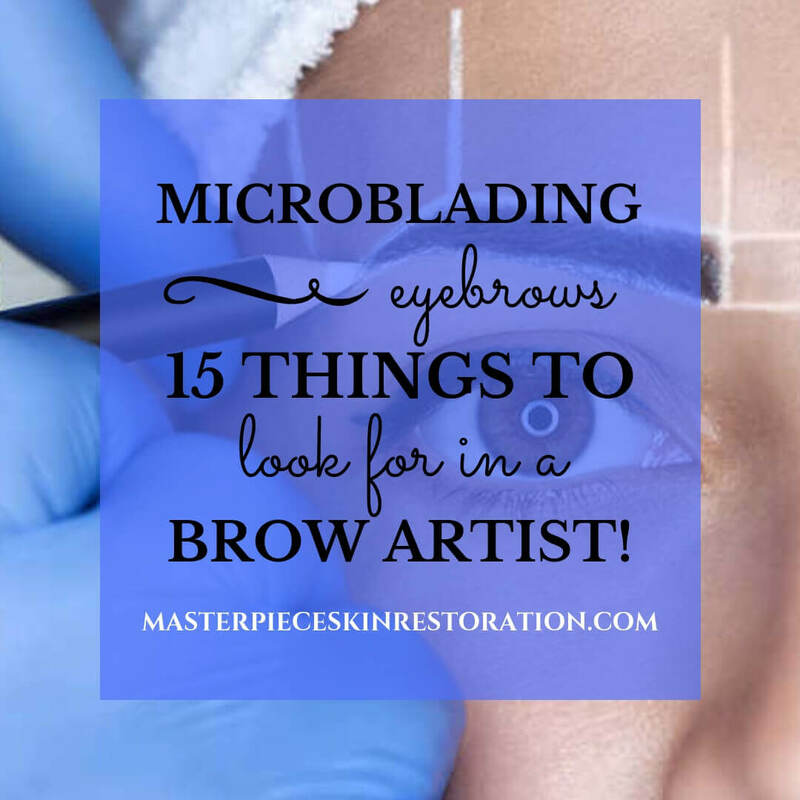 They are the most superficial of all chemical peels and have very few complications. These peels work on the epidermal/top layer of the skin causing reddening and peeling that lasts 3 to 7 days. On day 1 and 2 skin is slightly red. Skin starts peeling around day 3 and this continues for 2-3 days. There may be very superficial peeling on day 7. The most common side effects of a light chemical peel treatment include redness, peeling (although not everyone peels with a light chemical peel), flaking and a burning feeling during the treatment. Tell your medical provider if you feel an uncomfortable burn while being treated. More serious redness and irritation is rare, but can occur. Results are not as long lasting, but light peels can be repeated every 4 weeks. Done in a series, these peels can improve mild to moderately severe cases of acne. They are also used to soften the look of fine lines and wrinkles, even out skin texture and fade discoloration. They are safe for most skin types and work well for people with sensitive skin. Light peels cost in the range of $100 - $300 and are the most popular type of peel. Light chemical peels use an alpha hydroxy (AHA) or beta hydroxy acid solution (BHA) such as glycolic, lactic, salicylic, or fruit acids. Lactic Acid - Lactic acid is an AHA derived from sour milk and bilberries. It is mild and is often used together with other acids. Glycolic acid - Glycolic acid is a type of AHA peel that comes from fruit and milk sugars. Most glycolic acid peels have a concentration of 50 percent or higher. Glycolic peels (also known as alpha hydroxy acid peels) are the most gentle of the chemical peels. They only penetrate the top layer of skin, sloughing off dead skin cells. Salicylic acid - Salicylic acid, which is drying, works best on oily skin. It is the most commonly used beta hydroxyy acid (BHA) for peels. Salicylic acid dissolves oil buildup in pores and is less irritating than AHAs. These peels rapidly exfoliate the skin, allowing dead skin cells to shed more effectively. By keeping dead skin cells and oil from clogging pores, pimples are drastically reduced. BHAs come from wintergreen and birch bark and can help to remove acne scars. Trichloroacetic acid (TCA) - TCA in concentrations lower than 25% can be used in light peels. TCA peels are widely used because the concentration can be changed to give light, medium, or deep peel results. Medium peels are done in a medical office with doctor supervision. They remove the epidermis (top) layer of skin and remodel the dermis (second layer of skin). As the dermis heals, new collagen forms and the old collagen tightens. People with moderate wrinkling and some sagging often see considerable improvement in the appearance of their skin following a medium depth peel. They also treat actinic keratosis, mild sun damage, skin discoloration, melasma, skin roughness, and fine lines. You may even see improvement in depressed scars. Results can last several months to several years. Medium depth peels should be performed with great caution in dark skinned patients. Recovery from medium depth chemical peels usually takes several weeks. Old layers shed and new skin looks badly sunburned. Skin darkens on day 2 or 3. Peeling starts on day 3 and continues until day 7 or 8. Exfoliating products should be avoided for at least six weeks after the peel. The results are more noticeable than light peels, but less drastic than those achieved with deep phenol peels. It also takes longer to recover from a trichloroacetic acid peel than a light peel, but MUCH less time than a deep peel. In general, the deeper the peel, the higher the cost. Medium depth peels range in price from $1000 - $2000. Repeating a medium depth peel is not usually necessary - but they can be repeated in 6-8 weeks. Trichloroacetic acid (TCA) - Medium depth peels are done with 30 – 40% TCA. They are widely used because the concentration can be changed to produce results similar to those of both light and deep peels. These peels can be effective for people with dark skin because they are less likely to leave your skin permanently discolored than deep peels. Higher TCA concentrations than 35% can give unpredictable results and cause scarring. To reduce complications and produce a more even peel, combinations of products are used to improve TCA absorption. These combinations usually include Jessner’s Solution or 70% Glycolic Acid added to 35% TCA. Jessner’s Solution - Jessner's Peel is a combination of salicylic acid, resorcinol and lactic acid. Each of these ingredients is used as a light peeling agent. Together, they go a little deeper than a glycolic acid peel. It is used as a first one or two coats in medium depth peels with 35% TCA. Glycolic Acid - 70% glycolic acid is used with 35% TCA in a medium depth peel to increase absorption of TCA. Glycolic acid comes from fruit and milk sugars and is used alone in light chemical peels. Most glycolic acid peels have a concentration of 50 percent or higher. It is gentle and only penetrates the top layer of skin to slough off dead skin cells. Deep chemical peels are the strongest type of peels because they reach the deep layers of the dermis. They are always performed by a doctor in a surgical setting under general anesthesia (you are put to sleep). These peels treat deep wrinkles, severe acne scars, discoloration caused by aging and sun exposure, and pre-cancerous growths. While they do give the most dramatic, longest-lasting results, the procedure also takes longer than other peels and requires the most healing time. Deep peels aren't widely used because serious side effects - like permanent skin discoloration and heart rhythm problems - can occur. For these reasons, TCA peels and lasers have largely replaced phenol peels. After a deep peel, you can expect your skin to be red and extremely sore. It will ooze and scab. Over a period of two to four weeks, the skin heals enough to look sunburned - which lasts as long as 3 months. As mentioned above, deep phenol peels can leave skin looking permanently bleached. Therefore, this type of peel is only safe for people with fair skin. People with darker skin often see a definite line between treated and untreated areas after these peels. Deep peels should not be repeated and can cost as much as $6000. Phenol - Phenol is a very strong, toxic chemical. Low concentrations of phenol are often added to superficial and medium depth peels. Trichloroacetic acid (TCA) - Some dermatologists get excellent results with deep TCA peels. Because of high risk of uneven absorption causing blistering, and possible scarring, these peels should be performed only by board-certified dermatologists or plastic surgeons who are experienced in this procedure. If you don’t have money or the time for a professional chemical peel, you might try CANE + AUSTIN Retexturizing Treatment Pads. They are highly recommended by Allure Magazine. Start with the 10% then increase to 30%. You can buy them on Amazon.com. Protect your skin from the sun. Do NOT use tanning beds. Follow your provider’s instructions on how to care for your skin after the peel. Avoid scratching treated areas and picking at scabs. Avoid wearing makeup until your skin has completely healed. All in all, chemical peels are a great option to enhance skin. They increase skin beauty and health and are cost-effective. When used in combination with clinical procedures and consistent skin care at home, their results are truly impressive. You may also be interested in these posts: Cosmetic Vs. Medical Micro-Needling - What's the Difference?, 9 Ways to Treat Melasma, and What are Antioxidants?